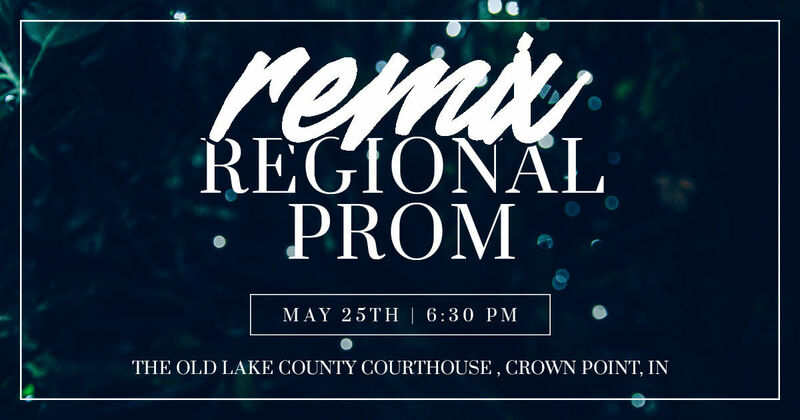 ReMix Regional Prom presents a magical “Enchanted Garden” evening. Enjoy dinner, dancing, and so much more on Friday, May 25, 2018 at The Courthouse in Crown Point. Tickets Purchased Before May 1: $28 per person or $50 per couple. Tickets purchased after May 1: $35 per person. This event is for 8th thru 12th grade students.